In Food & Nutrition, Harvard- and Columbia-trained nutrition scientist Dr. P.K. 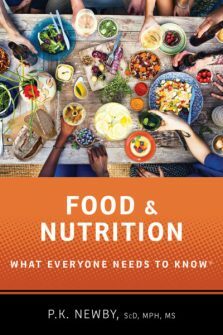 Newby examines 138 stand-alone questions addressing “need to know” topics, including how diet affects our health and environment, from farm to fork; the biology, psychology, and anthropology behind food choices; and evidence-based strategies for creating lasting behavior change, for life. From gluten-free to all-Paleo, GMOs to grass-fed beef, our newsfeeds abound with nutrition advice. Whether sensational headlines from the latest study or anecdotes from celebrities and food bloggers, we’re bombarded with “superfoods” and “best ever” diets promising to help us lose weight, fight disease, and live longer. At the same time, we live in an over-crowded food environment that makes it easy to eat, all the time. In Food & Nutrition, Harvard- and Columbia-trained nutrition scientist Dr. P.K. Newby examines 138 stand-alone questions addressing “need to know” topics, including how diet affects our health and environment, from farm to fork; the biology, psychology, and anthropology behind food choices; and evidence-based strategies for creating lasting behavior change, for life. 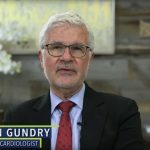 At the same time, Newby debunks popular myths and food folklore, encouraging readers to “learn, unlearn, and relearn” the fundamentals of nutrition at the heart of a health-giving diet. Her passion for all things food shines through it all, as does her love of the power of science, technology, and engineering to help create healthier diets for ourselves, and a more sustainable future for the planet we share.